There has been a constant question up in the air that when will the USA Bound HTC DROID DNA or the Japanese version of the same, namely the HTC J Butterfly be available for sale in the international markets?? Ok, then here we have got some info regarding the HTC's 5 inch-ed Android Smartphone.. The smartphone's international version is known as the HTC DELUXE DLX. Yeah, this isn't the first time that we got to take a look at the device but yes, it is much clearer this time and yes, it is available in 3 colours, black, brown and white. It's powered by 1.5GHz quad-core Snapdragon Krait processor and 2GB of RAM. It is equipped with a 8 MP Rear Camera and a 2.1 MP Front facing Camera. It will feature Android 4.1 Jelly Bean OS with Sense 4+. It will also support 4G LTE. There is no firm info regarding to when the device will make its debut but it might make its entry in events such as CES and MWC 2013. Sources also stated that more info regarding the Deluxe DLX should be expected to appear on December 6th. 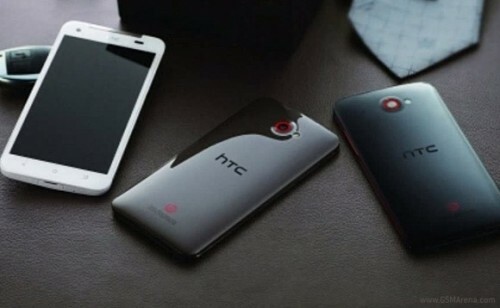 0 Respones to "HTC DELUXE DLX gets Pictured: Official Pictures leak"